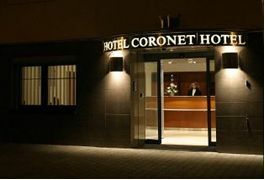 The Coronet hotel offers 4 single and 20 double rooms. Luxurious and modern interior is furnished with the following equipment as standard: entry card locking system, safe, mini bar, TV/LCD/SAT, internet connection free of charge, hairdryer and direct dial telephone. Hotel is located only two stops from the city centre by metro. Uniquely located adjacent to the Prague Congress Centre in a quiet neighborhood of the national heritage site Vysehrad. 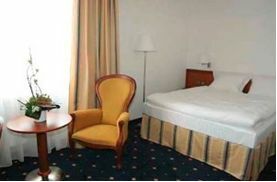 Hotel is situated within walking distance of Prague Congress Centre. Journey should take up to 2 minutes.